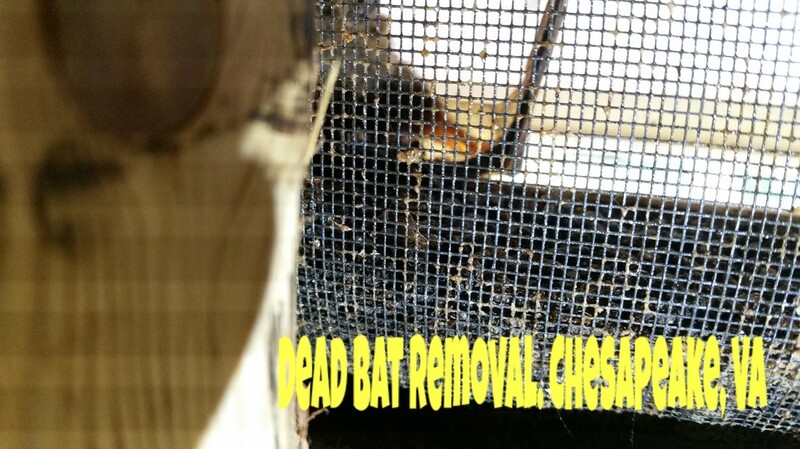 Bat removal and bat control in the Virginia is a common problems that wildlife removal operators deal with everyday. Bat removal and control is a more common problem found in the older cities of the United States. We suggest that only professional bat removal and control company deal with your bat problem. Bats are protected in Virginia, and have to be removed according to state rules and regulations. Bats become a problem because of their repetitive nature. They like to roost in the same areas every night. This is where the problem comes in. Bats are attracted to live in dwellings such as homes, buildings and older buildings such as churches and courthouses. The constant build up of guano is one of the more common problems that humans encounter with bats being in buildings. With bat colony’s sometimes exceeding 2000 animals, the amount of bat guano that accumulates in a given area is incredible. If you feel that you have bats in your attic, you can call us today (757) 236-6518. Bat will spread disease and contaminate insulation in attics. How to get rid of of bats. Got bats? All Around Animal Control is Virginia's most recommended bat removal specialist. If you have bats flying in your house, bats in your attic, bats in your basement, or bats in your walls. All Around animal control is a licensed professional bat removal service with technicians that can not only remove all visible bats, but also locate all entrance points and provide you with the most extensive and humane bat exclusion system available. All Around Animal Control can locate all primary and secondary entrance points, install check valves, repair all possible entrance points, remove all bat guano, droppings and contaminated waste on attic insulation. We can also work with your insurance company on the repair and restoration of your attic and attic remediation coverage. Are you worried about bats in your house? Bat prevention service covering all towns in Virginia provide peace of mind. Get bats out and keep them out with All Around Animal Control's bats in the attic and bat animal control service. There are a variety of different kinds of bats living in the United States, the 47 different kinds of bats represent four distinct groups of bats and they are the leaf nosed bat, the ghost faced bat, The Vesper Bat and the Free Tailed family of bats. These are the family groups in which all bats in the United States are associated with. Some of the more common bats that most animal control operators deal with on a regular basis are the Mexican free tailed bat, the little Brown bat, the big Brown bat, the big eared bat, the silver haired bat, the Eastern red bat, the townsends big eared bat, the Florida bonneted bat, the Seminole bat, the evening bat and the Indiana bat. These are all common types of bats that are found throughout the United States, there are other types of bats which are not as common as the before mentioned bats. If you are having problems with bats in your house, bats in your attic, or bats scratching in your walls, you’re not alone. Thousands of home owners find bats in their houses each year. Bats most of the time will generally enter a house from a construction opening on the roof of the house. All Around Animal Control receives multiple calls each year from homeowners and business that have bats in the house or business. We provide nuisance wildlife services including Bat control and Bat removal in the zip codes of Norfolk, VA 2350, 23502, 23503, 23504, 23505, 23506, 23507, 23508, 23509, 23510, 23511, 23513, 23514, 23515, 23517, 23518, 23519, 23520, 23521, 23523, 23529, 23541, 23551, 24042 and 24043. Virginia Beach, Va 23451, 23452, 23453, 23454, 23455, 23456, 23457, 23459, 23460, 23461, 23462, 23464.